so fars is a farce. well this the same theory Dr David Jacobs and it could be true, i personnaly saw 2 ufos : one black triangle and one transparent in Mexico over my house so there is black projets with taxes money and maybe more ! 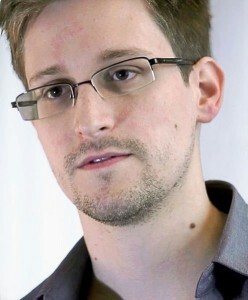 snowden is a true american !! This theory has several theory relatives out there of historical alien contact. The basic line is that the aliens helped Nazi Germany but when it failed, they flipped to the US… and now that we have failed them, they have gone over to China. Exactly what was the failure? Maybe to create a one-world government? I dunno but the theories do abound. What does Charles Hall have to say! you have to look deeper!!!! This is real and you will discover it is when you figure out that it would be nearly impossible to advance earth so fast in just such a small time. It was just 10 years ago all of this internet and phones started getting way advanced. you think some man created this from his mind. Bull crap. I’m connected with some very high people and i have seen them myself. I am going to remain anonymous for the purposes of my protection. Just because they worked with Hitler doesn’t mean they can break the universal code of laws, furthermore, if you had the power to travel through dementions and time to correct a catastrophic error. Wouldn’t you think you would have to work side by side with the enemy just to make him rely on you. Then you watch him fail to gain even more power. It was their plan from the beginning and what makes you so sure they were not working with the USA all along?…..
And before the internet. The other rapid change ( 10 years plus after Roswell) was computer chips, the Stealth fighter with its new design, the metals used for our own space craft changed seemingly over night. This was not human earthly evolution. It was too rapid and there were no dots to join to have a normal progression. all this guess work and interest in outer space! What about disclosing the “inner earth” question. Prove it or not once and for all. Here on earth, b4 we go somewhere we cannot reach! Also the “tall whites” if real are then evil. That would explain the link between them and why earth whites are greedy exploitors, racist and oppresors of fellow earthlings. Makeshift, nice, i hear you, do you hear me though? 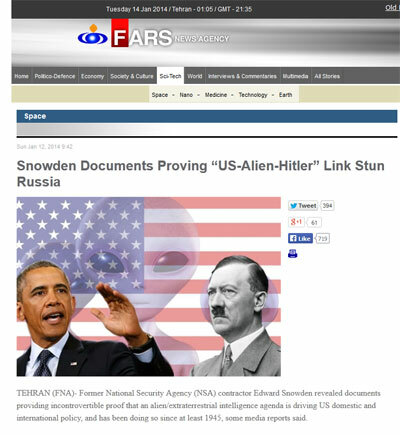 There is no evidence that of these documents, i studied snowden case for a long time and i never saw anything about aliens. Sure i belive in there existense but not in this case. the world governments know what is happen behind the scenes in the shadows. Yeah, but can they cook? Snowden is actually rather cool because he can now inform us about things our government has kept hidden. He was a former NSA and he probably didn’t agree with the government hiding facts from their own people. So, I would consider him the most patriotic American, if there is a thing. You guys are flipping nuts if you think aliens are helping us with anything. Why would they? They have nothing to gain by doing so. And why would they stay so damned secretive of their own existence? If they wanted to unite the world into a singular global govt and help Earth evolve to that state of civilization, all they’d have to do is show themselves. Educate us, show the masses that there’s more out there. Mankind would unite in the spirit of new-found exploration and cooperation with ET. The so called Leaders of all countrys are all nothing but figureheads..they really have No Power..its only a person who the public can see..to keep you in line..to follow what you are told Un-named others Really Run Things..so WAKE UP! The government is set up to CONTROL the people,tell them what to do..how to think..whats good and bad..what to buy..to keep the population in check..do what Your told and shut-up! The Gov controls the News/Internet..and only tells the people what they want you to know..their system works so why change it..and it has worked this way for thousands of years! Speak out against the gov or the way thing work..and see what happens! With Black Projects and Bases that do not exist…who do you think is fooling who? Either Lead/Follow/or get out of the way! seriously,what they will never reveal is the most simple and boring truth,extraterrestrial biologic entities are here before human appeared and they see this planet and its resources as theirs.They will never make an open contact unless recent events where their resources have been compromised by human activities(polution,radioactivity),they are belic and IF they even care to contact any human “authority”,be sure it wont be for the sake of human benefit. Snowden is a traitor who did a lot of damage. Who have him the right to make such decisions? That is why he needs to be prosecuted. There are no aliens but if there were and they helped the Nazis they would be war criminals and worthy of prosecution, not protection. Destroy religions & if you think about it 1940-1950 we got advanced technology I’m such a short time.I will not make any comments to this statement but have you ever wondered why we haven’t returned to the moon?We officially lost control in 1951.The worlds been around a very long time do you think we are the only creatures with our understanding just 15,000 years ago We were created in gods IMAGE of alien’s are looking for something as well perhapes under the ocean that we’ve only discoverd about 7% but yet we want to discover other planets there’s a reason Hitler built so many sub’s. There has been ancient space battles in history have you seen wall paintings created by cavemen.Maybe that’s why there’s a missing planet…. I do believe we are not the only life in the universe, but I hardly believe aliens would have anything to gain by helping wage wars. If they can travel to our planet with their advance knowledge they could do whatever they want. Proof they are real is lacking. 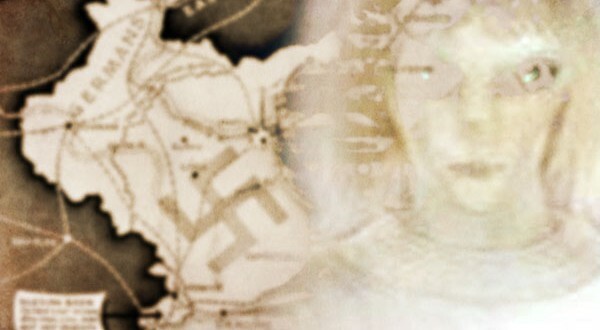 We are advancing very quickly and this may be as a result of some unexplained help. However, if we want to fear something, we need to fear the human race. We , humans, need to work with each other, forget about religion, race, or country if for some reason we as a planet are being under attack by some outside source should not we work with each other not fight each other. they have ben under the control of ET’s since 1947 ROSWELL. I have always believed we have had been given the gift of a “step up” in intelligence and ingenuity. Mankind bearly made any abdvances in engineering for centuries, apart from some brilliant thinkers in our history. Suddenly, we are scientifically cutting edge, with the average man having no idea how we reached such capabilities! I don’t! I for one am greatful, and welcome all the help we are so graciously offered. Operation Highjump under Admiral Byrd in 1946-47 proved that the Nazis were helped by someone with advanced technology and flying saucers specifically. These Nazis also were funded by the Rothschilds, Warburgs and other talmudic Kharzarians that had influence in DC through their federal reserve bank. Also WWI and WWII were instigated by these people for Israel. Putting that together shows that it is not too hard to believe that DC finally became completely uber their control at some point, and is today with worsening trends as time passes. We must resist this corruption and attempts to either enslave or kill us off for their selfish profiteering or other ET ventures. It’s better dying on our feet than living as slaves – as the Spartans made clear to those attempting to enslave mankind once before! Maybe one day we will get it through these evil aliens’ big heads that humankind will not have our free spirits enslaved, period, and they will stop wasting their time and efforts trying. Thanks. Since snowden is still alive and breathing I myself cannot believe such things……if he had dissapeared or somehow unrealistically committed suicide by the coroner i would think it was legit..
My comment: No only every country has secrets/ skeletons they wish no to be told. Obviously there’s a reason why its called a secret…ya think? Addresses of informants or to use a better word (agent). I live in the greatest country in the world. Others come here to be educated. People have died for my freedom and your freedom to Mr. Snowdon. There are not enough tissue made to wipe away the tears for our losses. I STAND BY MY COUNTRY!! !